Brooklyn Law School (BLS) is a private law school in New York City. Founded in 1901, it has approximately 1,100 students. Brooklyn Law School's faculty includes 60 full-time faculty, 15 emeriti faculty, and a number of adjunct faculty. The origins of Brooklyn Law School can be traced back to the Pratt Institute in Clinton Hill, Brooklyn, when in the 1890s the school established its Department of Commerce. Because of its overwhelming popularity, the Department of Commerce broke off from the main Institute and formed its own school, under the guidance of Norman P. Heffley, personal secretary to Charles Pratt. The Heffley School of Commerce, formed from Pratt's Department of Commerce, originally shared facilities with Pratt. In 1901, William Payson Richardson and Norman P. Heffley reorganized the Heffley School to become Brooklyn Law School, the first law school on Long Island. Using space provided by Heffley's business school, the law school opened on September 30, 1901, with five faculty members (including Richardson as dean and Heffley as president), and two special lecturers. The year began with five students, and ended with 28. In late 1901, the Board of Regents of the State of New York granted a charter to the law school. The law school became fully accredited by the American Bar Association through the Council of its Section on Legal Education and Admission to the Bar, and is a member of the Association of American Law Schools. The law school's curriculum is registered with and approved by the New York State Education Department. From its earliest days, Brooklyn Law School opened its door to minorities, women, and immigrants, and it offered night classes for those with full-time jobs. Dean Richardson also allowed students who had difficulty paying tuition to remain enrolled on credit. The school moved twice between 1901 and 1928, when it finally moved into the first building designed and built specifically for it at 375 Pearl Street in downtown Brooklyn. Though the school lacked a campus, dormitories, and a cafeteria, students could engage in a wide range of extracurricular activities. World War II struck Brooklyn Law School especially hard, and by 1943 enrollment was down to 174 students. St. Lawrence University, which until then operated Brooklyn Law School and conferred its degrees, decided to shut down the school. Prominent alumni were galvanized into action, and negotiated the repurchase of the school's assets, ensuring that Brooklyn Law School would operate as an independent institution. The 2008 Leiter Report ranked Brooklyn Law School 25th, in the "Most 'Prestigious' Law Firm Placement" category. The 2009 Leiter Report ranked Brooklyn Law School 39th nationwide in Student Quality, based on its 2008 entering class. New York Law Journal ranked Brooklyn Law School as the #2 Best Overall Law School in 2017 and 2018. New York Law Journal ranked Brooklyn Law School as the #2 General LL.M. Program in 2017 and 2018.
Business Insider ranked Brooklyn Law School as one of the “Best Law Schools in the Northeast” in 2016. Billboard Magazine listed Brooklyn Law School in the Top Schools of the Top Music Lawyers in 2017. Hollywood Reporter listed Brooklyn Law School in the Top 12 Entertainment Law Schools in 2017. The 2016 Leiter Report ranked Brooklyn Law School's faculty 26th in the nation for having the highest percentage of most-cited tenured professors. The 2019 edition of U.S. News ranked Brooklyn Law School 71st, in its list of top 201 law schools. In 2017, 78.6% of the law school's first-time test takers passed the bar exam, placing the law school as the 8th-highest among New York's 15 law schools. Of 369 graduates in 2016, nine months after graduation 323 were employed. Alumni live in 49 states and over 25 countries after graduation. The law school was ranked 46th of all law schools nationwide by the National Law Journal in terms of sending the highest percentage of 2018 graduates to the largest 100 law firms in the US (9%). In 2013, 94% of the law school's first-time test takers passed the New York bar exam, third-best among New York's 15 law schools. In 2012, five Brooklyn Law School graduates filed a class action lawsuit, which was dismissed the following year, alleging consumer fraud and common law fraud. As part of a series of identical lawsuits against law schools nationwide, the complaint alleged that the law school administration incorrectly reported employment and salary information for the purpose of enticing students to attend the law school. Prior to the lawsuit, Brooklyn Law School had claimed that 95% or more of graduates found employment within 9 months of graduation, without always distinguishing between full-time, part-time, and non-JD-required employment (which breakdown ABA/NALP rules did not require at the time of the statistics at issue in the suit, but which breakdown has been required since 2012). In April 2013, NY State Supreme Court Justice David Schmidt dismissed the lawsuit, finding that the school's disclaimers on its employment and salary data warned graduates that their own post-grad earnings may not measure up to the data. Of the law school's 368 graduates in 2017, nine months after graduation all were employed other than 26 who were seeking employment, and 4 who were not seeking employment (the employment status of 4 was unknown); 269 had secured jobs practicing law, and 40 had taken a J.D. advantage position. Brooklyn Law School's Law School Transparency under-employment score was 13.6%, indicating the percentage of the Class of 2017 unemployed, pursuing an additional degree, or working in a non-professional, short-term, or part-time job nine months after graduation. The law school was ranked # 46 of all law schools nationwide by the National Law Journal in terms of sending the highest percentage of 2018 graduates to the largest 100 law firms in the US (9%). Brooklyn Law School's academic and administrative buildings and main student residence is located in Downtown Brooklyn, near many federal and state courts and corporate and public interest law offices. Brooklyn Law School's main academic building at 250 Joralemon Street houses classrooms, faculty offices, student journals, a conference center, dining hall, and a four-story law library with 586,000 volumes. The office building nearby at 111 Livingston Street houses many of the law school's clinics, legal writing center, and administrative offices. Brooklyn Law School guarantees housing in its residences to all entering students. The largest residence is Feil Hall, a 22-story building at 205 State Street that opened in 2005. Designed by noted architect Robert A. M. Stern, Dean of the Yale School of Architecture, it accommodates about 360 students in 239 furnished apartments of varying sizes, and includes a conference center and café. Brooklyn Law School's faculty includes 60 full-time professors, 15 emeriti faculty, and a number of adjunct faculty. The law school draws on a large body of practitioners, public officials, and judges as adjunct faculty to teach specialized courses in many areas of law, including international sales law, securities law, real estate development, trial advocacy, business crimes, corporate litigation, sports law, and border and homeland security law. In addition, in any given semester, visiting professors come from all over the world to teach at the school. The law school is home to several well-known scholars, including torts professor Aaron Twerski, and Elizabeth Schneider, an expert on gender, law, and civil procedure. Both were highly ranked in Brian Leiter’s survey of “Most Cited Law Professors by Specialty." Other notable professors include Roberta Karmel, a former Commissioner of the Securities and Exchange Commission and columnist for The New York Law Journal, and Susan Herman, president of the American Civil Liberties Union (ACLU). In recent years, the law school has hired a number of new junior faculty members whose work draws on a variety of influences to contribute scholarship in areas as diverse as copyfraud, law and religion, international business law, land use planning, and the secondary mortgage market. The law school publishes four student-edited law journals: the Brooklyn Law Review, Brooklyn Journal of International Law, the Journal of Law and Policy, and the Brooklyn Journal of Corporate, Financial, and Commercial Law. Over 290 second and third-year students have the opportunity to write for one of the journals. All four student journals select new members based on writing ability and academic achievement. Each journal selects members by membership competition submissions and grades received during the first year of law school. Each journal requires that its members be in the top 75% of their class. The law school has both trial and appellate advocacy moot court divisions. Each year it enters approximately 30 teams in national moot court competitions. These competitions span all areas of the law, including family law, criminal procedure, white-collar crime, and international law. In 2011, Brooklyn Law School took home top international, national, and regional titles. Its teams won first place in the Irving R. Kaufman Memorial Moot Court Competition, and were first place Champions in the Domenick L. Gabrielli National Family Law Competition. They were also Semi-Finalists in the New York Region of the New York City Bar National Moot Court Competition, Semi-Finalists in the Phillip C. Jessup International Law Moot Court Competition (students won Third Best Brief and Sixth Best Oralist), Semi-Finalists in the National Environmental Law Moot Court Competition (students won Best Oralists in the Preliminary Rounds), Semi-Finalists in the Evan A. Evans Constitutional Law Moot Court Competition, Semi-Finalists for the Navy JAG Corps Moot Court Competition, and Semi-Finalists in the Duberstein Bankruptcy Moot Court Competition. Each year Brooklyn Law School hosts the Jerome Prince Memorial Evidence Competition, a national moot court competition. Named in honor of the late Brooklyn Law School Dean and renowned evidence scholar, the competition draws over 30 law school teams from across the country. Many students from the Moot Court Honor Society are involved in the coordination of the Prince Competition, and a few students have an opportunity to work with faculty members to research and write the problem – an issue at the forefront of evidentiary law – that is used in the Competition. Brooklyn Law School offers students over 190 courses and seminars in the law. Brooklyn Law School's main building at 250 Joralemon Street, Brooklyn, New York. The 1994 new classical Fell Hall tower by architect Robert A. M. Stern to the right. Each Brooklyn Law School center focuses on a specific area of the law and hosts lectures, symposia, forums, and round-table discussions that address emerging issues. Center for Urban Business Entrepreneurship (CUBE): Explores legal issues surrounding entrepreneurship, and provides effective legal representation and support for new commercial and not-for-profit businesses, while also training business-oriented law students to advise and participate in these sectors. Center for the Study of Business Law and Regulation: Unites the law school's existing diverse business and commercial law programs by providing a forum for scholarship that offers new perspectives on and solutions to real world business law and regulatory issues. Dennis J. Block Center for the Study of International Business Law: Established by the law school to study and shape international business law and policy. Center for Law Language and Cognition: Explores how developments in the cognitive sciences – including psychology, neuroscience and linguistics – have implications for the law at both theoretical and practical levels. Center for Health, Science and Public Policy: Offers students substantive knowledge and practical skills related to health and science law. The Advocates for Adults With Intellectual and Developmental Disability (AAIDD) Clinic represents low-income New Yorkers and their families in a variety of civil matters that impact adults with intellectual and developmental disabilities, and provides the opportunity for students to advocate in diverse areas of law ranging from public benefits, guardianship, housing and access to government services. The Brooklyn Law Incubator and Policy Clinic, (BLIP), functions like a law firm that represents Internet, new media, communications, and other tech entrepreneurs and innovators on both business and policy advocacy. Students work with clients on transactional, litigation, policy, and other advocacy projects and interact and strategize with members of the entrepreneurial, technology and financial communities, as well as with legislators, regulators and other policymakers. Capital Defender and Federal Habeas Clinic affords students the opportunity to represent death row inmates (post-conviction) in other states and defendants in New York who have filed federal habeas corpus petitions. The work consists of filing petitions in the U.S. Supreme Court. Community Development Clinic provides opportunities for students to represent community development corporations, cultural institutions, affordable housing providers, and small businesses that serve under-represented communities. Brooklyn Law School offers several paid fellowships for students seeking to further enrich their legal interests. Public Interest/Public Service (PipS): Fellows work full-time in entry-level positions at nonprofit organizations or government agencies partnering with Brooklyn Law School, receiving appropriate training and supervision, as well as attend a classroom component in the evening at Brooklyn Law School. After nine months of work with one of Brooklyn Law School's partners, upon graduation, Fellows take a break to study for the bar exam before returning to their Fellowship placement for a full year. International Human Rights Fellowship: Select students engage in a concentrated study in the field of international human rights and perform international human rights work abroad. Center for Health Science and Public Policy Fellowship: Students who have demonstrated academic or professional achievement in the areas of health, public health, science, and biotechnology undertake a major research project on a legal or policy issue related to these fields. International Business Law Fellowship: Students who plan to pursue careers in the field of international business law participate in programs hosted by the Dennis J. Block Center for the Study of International Business Law, as well as a variety of mentoring and enrichment experiences. Sparer Public Interest Law Fellowship: Students chosen for this nationally recognized program are placed at public interest organizations across the United States and abroad. Trade Secret Institute Fellowship: Fellows in this program are responsible for identifying key cases to include in the Trade Secrets Institute database through research on doctrinal issues related to trade secrets. Students work with faculty and alumni who are Zaretsky committee members to develop program content and materials for the annual Zaretsky Roundtable, a discussion on cutting-edge commercial and bankruptcy law topics. Brooklyn Law School offers an LL.M. program for foreign-trained lawyers. The program facilitates specialized study in three subject areas: business law, intellectual property law, and refugee and immigration law. J.D./Master of Business Administration: Brooklyn Law School and Baruch College jointly sponsor a program leading to the degrees of Juris Doctor (J.D.) and a Master of Business Administration (M.B.A.) in Business Administration and Policy. J.D./Master in City and Regional Planning: Brooklyn Law School and Pratt Institute jointly sponsor a program leading to the degrees of Juris Doctor (J.D.) and Master of Science (M.S.) in City and Regional Planning. J.D./Master in Urban Planning: Brooklyn Law School and Hunter College's Graduate Program in the Department of Urban Planning (Urban Affairs and Planning) jointly sponsor a program leading to the degrees of Juris Doctor (J.D.) and Master of Urban Planning (M.U.P.). J.D./Master in Library and Information Science: Brooklyn Law School and the Graduate School of Information and Library Science of Pratt Institute jointly sponsor a program leading to the degrees of Juris Doctor (J.D.) and Master of Science in Library and Information Science (M.S.L.I.S.). LL.M./Master in Library and Information Science: Brooklyn Law School and Pratt Institute jointly sponsor a dual degree program for those who have already earned a J.D. The program leads to a M.S.L.I.S. and LL.M. in Information Law and Society. Brooklyn Law School has created one of the nation's leading public service programs. It has a public service community that is championed by its Public Service Office. The Office provides individual counseling and information on summer and academic year externships, steering students toward pro bono opportunities, and helping students apply for postgraduate fellowships as well as employment opportunities. Brooklyn Law School sponsors two summer abroad programs each year. Students study international and comparative law for two weeks in one of two locations: Beijing or Bologna. The Beijing Program is hosted at China's University of International Business and Economics (UIBE). The program offers students the opportunity to study international bankruptcy and Chinese law. Courses are taught in English by faculty from BLS, with lectures by members of UBIE's Law Faculty. The program also allows time for visits to local cultural and legal institutions and for meeting Chinese law students. The Bologna Program is hosted by the University of Bologna. Founded in the 11th century, it is the oldest university in Europe, and a center of law study since the Middle Ages. Courses in international business law and comparative topics are taught by faculty from American and European law schools. Each year, the law school selects two students to attend Bucerius Law School during the fall semester while two Bucerius students study at Brooklyn Law School. The Bucerius Law School Program in International and Comparative Business Law is designed to develop and expand students' understanding of the forces that shape international business law and offers a unique opportunity to gain first-hand knowledge of German, European, and international law. Courses are taught in English by a combination of American law school professors and international professors of law. The University of Essex exchange program allows two Brooklyn Law School students every semester to study at the University of Essex while two English students are chosen to study at the law school for a full academic year. The focus of the program is on international human rights and European Union law. Brooklyn Law School's exchange program with University College Cork (UCC) gives two Brooklyn Law School students each semester the opportunity to study at UCC, a college founded in 1845 with a Law Faculty that is the largest department in the university. Two Cork students spend an academic year at the law school. Brooklyn Law School students have the ability to learn many legal subjects from an Irish law perspective, as well as many topics from an international and comparative stance. Two Brooklyn Law School students have the option of studying in Hong Kong for a semester in exchange for two Hong Kong University students attending Brooklyn Law School for the year. Due to China's rapid social and economic development and Hong Kong's location in the Pacific Rim, the program courses focus mostly on Chinese commercial law, human-rights law and international corporate and financial law. Except for some courses offered in the LL.M. program (e.g., Chinese Law), the course instruction is in English. Brooklyn Law School recently added this program to allow students to study law in Spanish from a Civil Law system perspective. The program highlights courses in tax law, law and economics, business law, law and finance, criminal law, and law and public policy. Two Brooklyn Law School students in their second year also have the new opportunity to attend Tel Aviv University, home of the Cegla Center for Interdisciplinary Research of the Law, in the Spring semester. Students will be able to take a variety of courses touching upon international and comparative law, as well as the option to study Hebrew. William B. Carswell, 1908, Dean of Brooklyn Law School; New York (NY) State Senator, and Associate Justice of the NY Supreme Court, Appellate Division. I. Leo Glasser, '48, Dean of Brooklyn Law School; Judge on the U.S. District Court for the Eastern District of New York. Daniel Gutman, '22, Dean of New York Law School, NY State Senator, and NY State Assemblyman. Jerome Prince, '33, Dean of Brooklyn Law School; evidence scholar and author of Prince on Evidence. Edward V. Sparer, '59, Professor at Yale Law School and University of Pennsylvania Law School; Founded Mobilization for Justice and considered the "father of welfare law." William F. Aldinger III, '75, CEO of HSBC Finance Corporation and Capmark (now Ally Financial). Leon Charney, '64, real estate tycoon and billionaire. Charles S. Cohen, '77, CEO of Cohen Brothers Realty Corporation and billionaire. Milton Cooper, ’53, CEO of Kimco Realty Corporation. Jeffrey Feil, '73, real estate developer and CEO of The Feil Organization. Noah J. Hanft, ’76, General Counsel, MasterCard International. Lon Jacobs, '81, Chief Legal Officer, Senior Executive Vice President, and Group General Counsel of News Corporation. Marvin Kratter, '39, real estate investor, head of the Boston Celtics. Fred Rosen, former CEO of Ticketmaster, co-founder of the Bel Air Homeowners Alliance. George H. Ross, ’53, Executive Vice President and Senior Counsel, Trump Organization; appeared on two seasons of The Apprentice. Barry Salzberg, ’77, CEO of Deloitte & Touche. Larry Silverstein, '55, billionaire real estate investor and developer; owns and is developing the World Trade Center complex in Lower Manhattan. Stuart Subotnick, ’68, partner and Chief Operating Officer, Metromedia; one of 400 wealthiest people in the US; Chairman, Brooklyn Law School Board of Trustees. Victor Anfuso, '27, Democratic Member of the U.S. House of Representatives from New York (NY), 8th Congressional District. Herman Badillo, '54, Democratic Member of the U.S. House of Representatives from NY, 21st and 22nd Districts; Bronx Borough President. First Puerto Rican elected to these posts (outside of Puerto Rico). Frank J. Brasco, '57, Democratic Member of the U.S. House of Representatives from NY, 11th District. John D. Clarke, 1911, Republican Member of the U.S. House of Representatives from NY, 34th District. Norm Coleman, attended '72–'74, U.S. Senator from Minnesota, Mayor of Saint Paul, Minnesota (1994–2002). Steven Cymbrowitz, ’90, NY State Assemblyman, 45th District (Democrat). John J. Delaney, ’27, Democratic Member of the U.S. House of Representatives from NY, 7th District. David Dinkins, '56, Mayor of New York City (1990–93); first African American to hold that office (Democrat). Jeffrey Dinowitz, ’79, NY State Assemblyman, 81st District (Democrat). Morris M. Edelstein, 1909, Democratic Member of the U.S. House of Representatives from NY, 14th District. James H. Fay, '29, Democratic Member of the U.S. House of Representatives from NY, 16th District. Joseph V. Flynn, 1906, Democratic Member of the U.S. House of Representatives from NY, 3rd District. Leonard Garment, '49, acting special counsel to U.S. President Richard Nixon, and 2005 National Medal of Arts recipient. Frieda B. Hennock, ’24, first woman Federal Communications Commission Commissioner. Howard L. Lasher, ’68, Democratic NY State Assemblyman, 46th and 47th Districts. First Orthodox Jew elected to state office in NY State. Henry J. Latham, ’31, Republican Member of the U.S. House of Representatives from NY, 3rd and 4th Districts. Christopher Mega, '53, NY State Senator, Assemblyman, and judge (Republican). George M. Michaels, '33, NY State Assemblyman (Democrat). Abraham J. Multer, '22, Democratic Member of the U.S. House of Representatives from NY, 13th and 14th Districts. Thomas V. Ognibene, ’74, Republican member of the New York City Council, 30th District; held the position of Council minority leader. Rafael Piñeiro, '80, New York City First Deputy Police Commissioner. Bertram L. Podell, ’49, Democratic Member of the U.S. House of Representatives from NY, 13th District. David M. Potts, ’26, ’33, Republican Member of the U.S. House of Representatives from NY, 26th District. Benjamin S. Rosenthal, ’49, Democratic Member of the U.S. House of Representatives from NY 6th, 7th, and 8th Districts. Nicholas Scoppetta, ’62, 31st New York City Fire Commissioner and first Commissioner of the Administration for Children's Services. Sheldon Silver, '68, Democratic Speaker of the New York State Assembly (1994–present), the second-longest speakership in NY State history. Leonard Silverman, '54, Five-Term New York State Assemblyman, former Chairman of the Committee on Insurance, and Judge for the NY State Court of Claims. Herbert J. Simins, '58, NY City Commissioner of Public Works, Nassau County Commissioner of Public Works. Lawrence J. Smith, ’64, Democratic Member of the U.S. House of Representatives from Florida, 16th District. Percy Sutton, ’50, first African-American Manhattan Borough President, civil rights activist, founder of Inner City Broadcasting Corporation. Lester D. Volk, 1911, Republican Member of the U.S. House of Representatives from NY, 10th District. Benjamin Ward, '65, New York City Police Commissioner. Mark S. Weprin, ’92, NY State Assemblyman, 24th District (Democrat). Saul Weprin, '51, Democratic Speaker of the NY State Assembly (1991–94). Henry Bramwell, ’48, first African-American Judge appointed to the U.S. District Court for the Eastern District of NY. Mark Americus Costantino, '47, Judge for the U.S. District Court for the Eastern District of NY. Sterling Johnson, Jr., '66, Senior Judge of the U.S. District Court for the Eastern District of NY. Harold Maurice Kennedy, '25, Judge of the U.S. District Court for the Eastern District of NY. Edward R. Korman, '66, Chief Judge of the U.S. District Court for the Eastern District of NY. Shirley Wohl Kram, '50, Judge for the U.S. District Court for the Southern District of NY. Mary Johnson Lowe, '54, Judge for the U.S. District Court for the Southern District of NY. Nelson Roman, '89, Judge for the U.S. District Court for the Southern District of NY. George Rosling, '23, Judge for the U.S. District Court for the Eastern District of NY. Arthur Donald Spatt, '49, Judge on the U.S. District Court for the Eastern District of NY. Stephen Victor Wilson, '67, Judge on the U.S. District Court for the Central District of California. Bernard Botein, Presiding Justice of the NY State Supreme Court, Appellate Division, First Department, and President of the New York City Bar Association. John Carro, ’56, Associate Justice of the NY Appellate Division, First Department, first Puerto Rican to be designated an Appellate Court Justice, and founding partner of the largest Latino-owned law firm in New York. Rachel Freier, 2005, Civil Court judge for the Kings County 5th judicial district in NY State, first Hasidic Jewish woman to be elected as a civil court judge in NY State, and first Hasidic woman to serve in public office in US history. E. Leo Milonas, ’60, partner of Pillsbury Winthrop Shaw Pittman LLP; former Associate Justice, Associate Justice of the NY Appellate Division, First Department, and Chief Administrative Judge of the State of NY. Frank D. O'Connor, '34, Judge of the Appellate Division of the NY State Supreme Court, Queens District Attorney, President of the New York City Council. Ann Pfau, ’84, Chief Administrative Judge of the New York State Unified Court System. William C. Thompson, ’54, justice of the NY State Supreme Court, Appellate Division, Second Department; founding member of nation’s first community development corporation, Bedford Stuyvesant Restoration Corporation. Edwin Torres, ’57, NY State Supreme Court justice and best-selling author of crime novels. Moses M. Weinstein, '34, justice of the NY Supreme Court, Appellate Division, Second Department, and Acting Speaker of the New York State Assembly. James Lopez Watson, '51, Judge of the U.S. Court of International Trade. Marty Bandier, '65, CEO of Sony/ATV Music Publishing. Irving Fein, '36, Emmy Award-winning TV and film producer, and manager of Jack Benny and George Burns. Irving "Swifty" Lazar, '31, talent agent and deal-maker. Dubbed "Swifty" by Humphrey Bogart when he put together three major deals for Bogart in a single day. Russell T. Lewis, '73, CEO of The New York Times Company. Geraldo Rivera, '69, host of the newsmagazine program Geraldo at Large; appears regularly on Fox News Channel. 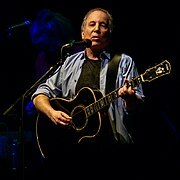 Paul Simon, '63 (attended), 12-Grammy Award-winning musician, songwriter, and producer. Brian Sullivan, 2003, television news anchor and business journalist. Hy Zaret, '30s, lyricist and composer; co-author of 1955 hit "Unchained Melody." Frank J. Aquila, '83, corporate lawyer at Sullivan & Cromwell. Allen Grubman, '67, entertainment lawyer. Leonard Grunstein, '75, real estate attorney and philanthropist. Robert Kaufman, '57, partner at Proskauer Rose, and President of the New York City Bar Association. Lydia Kess ’62, first woman partner, Davis Polk & Wardwell LLP; currently senior counsel. Gerald B. Lefcourt, ’67, criminal defense lawyer. Gerald L. Shargel, ’69, criminal defense lawyer; Practitioner-in-Residence at Brooklyn Law School. Timothy Kelly, 2005, former General Manager for the Long Island Lizards of Major League Lacrosse; current General Manager of the New York Titans of the National Lacrosse League. Lonn A. Trost, ’71, Chief Operating Officer & General Counsel, New York Yankees. Rosalie Gardiner Jones, 1919, socialite and suffragist. Robert Rosenthal, '41, decorated Jewish USAF B-17 commander flew 53 missions, despite shot down twice; later assisted U.S. prosecutor at Nuremberg. The total cost of attendance (indicating the cost of tuition, fees, and living expenses) at Brooklyn Law School for the 2013-14 academic year was $78,604. The total cost of attendance for the 2015-16 academic year will be $70,534 as a result of a 15% tuition reduction plan going into effect May 2015. The estimated debt-financed cost of attendance for three years is $204,197. ^ PR Newswire (May 26, 2018) "Nicholas W. Allard To Step Down As President & Dean Of Brooklyn Law School". Retrieved on August 9, 2018. ^ "Statistics & Profile", Brooklyn Law School. ^ "Full-Time". www.brooklaw.edu. Retrieved September 28, 2018. ^ "Pratt Historic Preservation Master Plan" (PDF). scup.org. Retrieved October 9, 2013. ^ "Building of the Day: 375 Pearl Street". Brownstoner. October 3, 2013. Retrieved October 9, 2013. ^ Norman P. Heffley. Shorthand Educator. 1898. Retrieved October 9, 2013. ^ "Walkabout: Stenography and the Law in Brooklyn". Brownstoner. October 3, 2013. Retrieved October 9, 2013. ^ a b c d Morris, Jeffrey Brandon (2001). Brooklyn Law School: the first hundred years. Brooklyn, NY: Brooklyn Law School. p. 232. ISBN 978-0-9712953-0-8. Archived from the original on June 30, 2012. Retrieved March 22, 2011. ^ Leiter, Brian (October 13, 2008). "The Top 15 Schools From Which the Most ""Prestigious"" Law Firms Hire New Lawyers (or where to go to law school to work at super-elite firms on the two coasts)". Brian Leiter's Law School Reports. Retrieved March 24, 2011. ^ Leiter, Brian (October 9, 2009). "Ranking of Top 40 Law Schools by Student (Numerical) Quality 2009". Brian Leiter's Law School Reports. Retrieved March 24, 2011. ^ "Best of NYLJ". nylawyer.nylj.com. Retrieved March 9, 2018. ^ "New York Law Journal: Best of 2018". nylawyer.nylj.com. Retrieved September 28, 2018. ^ "The 14 best law schools in the Northeast". Business Insider. Retrieved March 9, 2018. ^ "The Leading Music Law Schools of 2017". Billboard. Retrieved March 9, 2018. ^ "1. UCLA School of Law - Hollywood's Top Law Schools: 12 Colleges and Universities Where THR's Power Lawyers Got Started". The Hollywood Reporter. Retrieved March 9, 2018. ^ "Brian Leiter's Law School Reports". leiterlawschool.typepad.com. Retrieved March 9, 2018. ^ Zaretsky, Staci. "A Breakdown Of New York Bar Exam Results By Law School (July 2017)". Retrieved March 9, 2018. ^ ""Employment Summary for 2016 Graduates," American Bar Association" (PDF). ^ "Brooklyn Law School | Best Law School". US News & World Report. Retrieved March 17, 2013. ^ a b "The Top 50 Go-To Law Schools," The National Law Journal, March 8, 2018. ^ "New York Bar Exam Results By Law School: Open Thread (2013)". Above the Law. Retrieved August 28, 2015. ^ "Brooklyn Law School wows with 94% bar passage rate". Brooklyn Eagle. Retrieved August 28, 2015. ^ a b c "Bevelacqua, Lucevic, Liskiv, McGreevy & Crocket v Brooklyn Law School" (PDF). Supreme court of the state of New York, Kings County – Commercial Division. May 17, 2012. Archived from the original (PDF) on October 29, 2013. Retrieved October 9, 2013. ^ "Judge Tosses Lawsuit Against Brooklyn Law School". Wall Street Journal. April 24, 2013. Retrieved October 9, 2013. ^ a b "Employment Summary for 2017 Brooklyn Law School Graduates" (PDF). ^ "Employment Summary for 2017 Graduates" (PDF). ^ "BLS - Student Life: Housing". www.brooklaw.edu. Retrieved March 9, 2018. ^ "Faculty". Brooklaw.edu. Retrieved June 1, 2011. ^ Leiter, Brian (December 18, 2007) [November 12, 2007]. "Most Cited Law Professors by Specialty, 2000–2007". Brian Leiter's Law School Reports. Retrieved March 24, 2011. ^ " "Law Journals". Brooklyn Law School. Retrieved March 24, 2011. " ^ "2010–2011 Moot Court Honor Society Season Finishes with Gusto". Brooklyn Law School. Retrieved April 18, 2011. ^ Velsey, Kim. "Brooklyn Law School to Open Tech, Start-up Focused Law Center 'Embedded' in Dumbo, Downtown Brooklyn". The New York Observer. Retrieved November 14, 2013. ^ "The Dennis J. Block Center for the Study of International Business Law". Brooklyn Law School. Retrieved March 24, 2011. ^ "Center for Law, Language & Cognition". Brooklyn Law School. Retrieved March 24, 2011. ^ "Center for Health, Science & Public Policy". Brooklyn Law School. Retrieved March 24, 2011. ^ "Brooklyn Law School Announces $1 Million Grant for Innovative Legal Clinic Serving Adults with Intellectual and Developmental Disabilities". www.brooklaw.edu. Retrieved October 14, 2014. ^ "The Real World of Law Practice". Brooklaw.edu. Archived from the original on October 16, 2013. Retrieved October 16, 2013. ^ "Public Interest Public Service Fellows". www.brooklaw.edu. Retrieved April 25, 2014. ^ a b "Sparer Fellowship: A Select Path to International Business". Brooklyn Law School. Retrieved March 24, 2011. ^ "Zaretsky Roundtable & Fellowship". Brooklyn Law School. Archived from the original on September 28, 2011. Retrieved March 24, 2011. ^ LL.M. Program Overview Archived October 26, 2010, at the Wayback Machine. Brooklyn Law School. Retrieved on December 14, 2010. ^ "Our Academic Program: Joint-Degree Programs". Brooklyn Law School. Retrieved March 24, 2011. ^ "Our Certificate Programs". Brooklyn Law School. Retrieved May 17, 2012. ^ "Public Service Law". Brooklyn Law School. Retrieved May 17, 2012. ^ "J.D. 2-3-4 Program". www.brooklaw.edu. Retrieved December 28, 2016. ^ a b "Take Your Legal Studies Abroad". Brooklyn Law School. Retrieved March 24, 2011. ^ "University of Essex". Essex.ac.uk. Retrieved October 16, 2013. ^ "The University of Hong Kong". Hku.hk. Retrieved October 16, 2013. ^ "Historical Society of the New York Courts - New York Legal History / Biographies : New York State Supreme Court, Appellate Division, Second Department". www.courts.state.ny.us. Retrieved March 9, 2018. ^ "Judge I. Leo Glasser | Eastern District of New York | United States District Court". Nyed.uscourts.gov. Retrieved October 25, 2013. ^ Eric Pace (September 6, 1993). "Daniel Gutman, Municipal Judge And Law School Dean, Dies at 92". The New York Times. Retrieved October 25, 2013. ^ "Jerome Prince Is Dead; Former Dean Was 81". New York Times. December 27, 1988. Retrieved October 25, 2013. ^ "Edwared Sparer, 55; Legal Advocate for the Poor". New York Times. June 25, 1983. Retrieved March 3, 2019. ^ "William Aldinger: Executive Profile & Biography". Business Week. Retrieved October 25, 2013. ^ "Law Offices of Leon H. Charney". Martindale.com. August 10, 2010. Retrieved October 9, 2013. ^ "Beyond the Bricks and Mortar". brooklaw.edu. Retrieved October 25, 2013. ^ "Cooper, Milton". The New York Times. September 16, 2010. Retrieved October 25, 2013. ^ Karen Sloan. "Grads made good, donate $2 million to Brooklyn Law School". Supreme Court Brief. Retrieved August 28, 2015. ^ "Six Great General Counsels – Second Quarter 2010". Boardmember.com. Archived from the original on October 23, 2013. Retrieved October 25, 2013. ^ "News". Brooklaw.edu. October 14, 2009. Retrieved October 9, 2013. ^ Nick Ravop (December 9, 1999). "Marvin Kratter, 84; Once Owned Ebbets Field". New York Times. Retrieved October 9, 2013. ^ "Donald Trump's Mentor, George Ross". Real Investors. September 1, 2013. Retrieved October 25, 2013. ^ "Barry Salzberg | DTTL CEO". Deloitte. Retrieved October 25, 2013. ^ "News". Brooklaw.edu. July 17, 2011. Retrieved October 9, 2013. ^ "Stuart Subotnick Joins Sepsis Alliance Board of Directors". Retrieved March 9, 2018. ^ "Anfuso, Victor L'Episcopo – Biographical Information". Bioguide.congress.gov. Retrieved October 25, 2013. ^ "Herman Badillo and Gail Roberts". New York Times. August 18, 1996. Retrieved October 9, 2013. ^ "State Senator Abraham Bernstein; Fighter for Liberal Causes Was 71," The New York Times. ^ "Brasco, Frank James – Biographical Information". Bioguide.congress.gov. Retrieved October 9, 2013. ^ "Assembly Member James Brennan's Biography – Project Vote Smart". Votesmart.org. April 17, 1952. Retrieved October 25, 2013. ^ Women in Congress, 1917–2006. Matthew Andrew Wasniewski, United States Congress. House Committee on House Administration, Office of History and Preservation. 2006. ISBN 9780160767531. Retrieved October 9, 2013. ^ Glenn Fowler (April 3, 1991). "Sol C. Chaikin, 73, Ex-Organizer Who Led Garment Workers, Dies". The New York Times. Retrieved October 25, 2013. ^ Wyman Spano, Nona Yates (July 15, 2010). A Funny Thing Happened on the Way to the Senate: Franken vs. Coleman and the Decline and Fall of Civilized Politics. Voyageur Press. ISBN 9780760339022. Retrieved October 9, 2013. ^ "New York State Assembly – Member Section". Assembly.state.ny.us. Retrieved October 9, 2013. ^ "Delaney, John Joseph – Biographical Information". Bioguide.congress.gov. Retrieved October 9, 2013. ^ Mike Barry (September 26, 2013). "Dinkins Tries To Set The Record Straight". Antonnews.com. Archived from the original on October 10, 2013. Retrieved October 9, 2013. ^ "New York State Assembly – Member Section". Assembly.state.ny.us. February 15, 1994. Retrieved October 9, 2013. ^ "Edelstein, Morris Michael – Biographical Information". Bioguide.congress.gov. Retrieved October 9, 2013. ^ "Fay, James Herbert – Biographical Information". Bioguide.congress.gov. Retrieved October 25, 2013. ^ "Flynn, Joseph Vincent – Biographical Information". Bioguide.congress.gov. Retrieved October 25, 2013. ^ "Former Nixon adviser Leonard Garment dies at 89". Fox News. July 15, 2013. Retrieved October 9, 2013. ^ Thomas Morgan (July 16, 1988). "Golden Fights Koch and Threats to His Political Power". The New York Times. Retrieved October 25, 2013. ^ Barbara Sicherman, Carol Hurd Green (1980). Notable American Women: The Modern Period: a Biographical Dictionary. Harvard University Press. ISBN 9780674627338. Retrieved October 9, 2013. ^ "Howard L. Lasher Lawyer Profile". martindale.com. August 10, 2010. Retrieved October 9, 2013. ^ "Henry J. Latham, 93, Queens Congressman". New York Times. June 26, 2002. Retrieved October 9, 2013. ^ Halpern, Andrea. "Senator Norman J. Levy Dies at Age 67". Antonnews.com. Archived from the original on October 23, 2013. Retrieved October 25, 2013. ^ McFadden, Robert D. (April 27, 2009). The New York Times https://www.nytimes.com/2009/04/27/nyregion/27marchi.html?_r=2&scp=1&sq=john%20marchi&st=cse& |url= missing title (help). Retrieved October 25, 2013. ^ "Judge Mega May Seek Old Senate Seat". The Daily Gazette. Retrieved October 25, 2013. ^ Wolfgang Saxon, "George Michaels, 80, Legislator Who Changed Abortion Law, Dies", December 5, 1992, The New York Times. ^ "Multer, Abraham Jacob – Biographical Information". Bioguide.congress.gov. Retrieved October 9, 2013. ^ "2009 NYC Voter Guide: Candidate Profile: Thomas V. Ognibene". Nyccfb.info. Retrieved October 9, 2013. ^ "Your Future". www.brooklaw.edu. Retrieved March 9, 2018. ^ "Podell, Bertram L. – Biographical Information". Bioguide.congress.gov. Retrieved October 9, 2013. ^ "Potts, David Matthew – Biographical Information". Bioguide.congress.gov. Retrieved October 9, 2013. ^ "Former Councilmember Still A Community LeaderBy Tonia N. Cimino and Melissa Hendricks - QNS.com". Retrieved March 9, 2018. ^ a b "Rosenthal, Benjamin Stanley – Biographical Information". Bioguide.congress.gov. Retrieved October 9, 2013. ^ "New York State Assembly – Member Section". Assembly.state.ny.us. Retrieved October 25, 2013. ^ Miller, Stephen. "Ronald Saypol dies at 85; led model-train maker Lionel into retailing". latimes.com. Retrieved March 9, 2018. ^ "Nicholas Scoppetta, 31st Fire Commissioner, FDNY". Nyc.gov. Archived from the original on October 23, 2013. Retrieved October 9, 2013. ^ "New York State Assembly – Member Section". Assembly.state.ny.us. Archived from the original on October 7, 2013. Retrieved October 9, 2013. ^ September 16, rew Denney |; AM, 2015 at 07:00. "Former Judge, Assemblyman Dies at 84". New York Law Journal. Retrieved February 20, 2019. ^ "Herbert Simins, 59, Ex-Public Works Chief". The New York Times. July 18, 1988. Retrieved May 1, 2014. ^ "Lawrence Smith – U.S. Congress Votes Database". The Washington Post. Retrieved October 9, 2013. ^ "Percy Sutton: Visionary Videos: NVLP: African American History". Visionaryproject.org. November 24, 1920. Retrieved October 25, 2013. ^ Ginsberg, Alex (December 28, 2009). "Obama hails Sutton as a national hero". New York Post. Retrieved October 9, 2013. ^ Saxon, Wolfgang. "Edward Thompson, 82, Judge And Former Fire Commissioner". Retrieved March 9, 2018. ^ "VOLK, Lester David - Biographical Information". Retrieved August 28, 2015. ^ Douglas Martin (June 11, 2002). "Benjamin Ward, New York City's First Black Police Commissioner, Dies at 75". New York Times. Retrieved October 9, 2013. ^ Saxon, Wolfgang. "State Justice Ivan Warner, 74; Served 25 Years on Bronx Bench". Retrieved March 9, 2018. ^ "District 23 – Council Member – Democrat". Council.nyc.gov. November 3, 2009. Retrieved October 25, 2013. ^ Kevin Sack (February 12, 1994). "Saul Weprin Is Dead at 66; Sought Assembly Harmony". The New York Times. Retrieved October 25, 2013. ^ Wolfgang Saxon (July 21, 1998). "Frank X. Altimari, 69, Judge Who Affirmed Ban on Begging". New York Times. Retrieved October 9, 2013. ^ "History of the Federal Judiciary". Fjc.gov. Retrieved October 25, 2013. ^ "Just The Beginning Foundation: Henry Bramwell". Jtbf.org. Retrieved October 25, 2013. ^ Wolfgang Saxon (June 19, 1990). "Mark Costantino, 70, Senior Judge In U.S. District Court in Brooklyn". The New York Times. Retrieved October 25, 2013. ^ "Judge Sterling Johnson, Jr | Eastern District of New York | United States District Court". Nyed.uscourts.gov. Retrieved October 9, 2013. ^ "Kennedy, Harold Maurice - Federal Judicial Center". www.fjc.gov. Retrieved March 9, 2018. ^ "Judge Edward R. Korman | Eastern District of New York | United States District Court". Nyed.uscourts.gov. Retrieved October 9, 2013. ^ Eric Pace (March 3, 1999). "Mary J. Lowe, 74, U.S. Judge Noted for Her Rulings on Bias". The New York Times. Retrieved October 25, 2013. ^ a b "News". Brooklaw.edu. Retrieved October 25, 2013. ^ "Judge Arthur D. Spatt | Eastern District of New York | United States District Court". Nyed.uscourts.gov. Retrieved October 9, 2013. ^ "Stephen V. Wilson Judge Profile". martindale.com. August 10, 2010. Retrieved October 9, 2013. ^ "HAROLD BIRNS, RETIRED STATE JUSTICE AND FORMER CITY OFFICIAL, IS; DEAD". Retrieved March 9, 2018. ^ "Justices of the Court". Courts.state.ny.us. Retrieved October 25, 2013. ^ "Brooklyn Law School, Brooklyn". Br-po.abctribe.com. Archived from the original on October 23, 2013. Retrieved October 25, 2013. ^ Slotnik, Daniel E. (December 28, 2010). "Steven W. Fisher – Obituary". New York Times. Retrieved October 25, 2013. ^ "Rachel Freier '05 Makes History in Election for State Civil Court Seat". Brooklyn Law School. September 30, 2016. Retrieved January 1, 2017. ^ "Justices of the Court". Courts.state.ny.us. Retrieved October 9, 2013. ^ Dennis Hevesi (December 3, 1992). "Frank D. O'Connor, 82, Is Dead; Retired New York Appellate Judge". The New York Times. Retrieved October 25, 2013. ^ "Judicial Directory". Nycourtsystem.com. August 2, 2013. Retrieved October 25, 2013. ^ "Justices of the Court". Nycourts.gov. Retrieved October 25, 2013. ^ (PDF). namadr.com http://www.namadr.com/documents/ho_resumes/namresume-thompson_william.pdf |url= missing title (help). Retrieved October 25, 2013. ^ "Puerto Rico Profile: Judge Edwin Torres". Puerto Rico Herald. Archived from the original on January 6, 2008. Retrieved October 25, 2013. ^ "Moses M. Weinstein". courts.state.ny.us. Retrieved October 25, 2013. ^ Saxon, Wolfgang (September 6, 2001). "James Lopez Watson, 79, Judge on U.S. Trade Court". New York Times. Retrieved October 9, 2013. ^ John Cassy and David Teather. "The man who sold the world music | Business". The Guardian. Retrieved October 25, 2013. ^ Berger, Joseph (June 6, 2010). "Himan Brown, Developer of Radio Dramas, Dies at 99". The New York Times. ^ Keller, Julia. "The 'Naked' truth". Retrieved March 9, 2018. ^ "TV, film producer Irving Fein dies at 101". Variety. Retrieved October 9, 2013. ^ "Steve Lemme and Kevin Heffernan from Super Troopers and Beerfest – Now Playing at the Arlington Cinema & Drafthouse in Arlington Virginia". Arlingtondrafthouse.com. Retrieved October 25, 2013. ^ Flint, Peter B. (January 1, 1994). "Irving (Swifty) Lazar, 86, Dies; Dynamic Agent and a Star Himself – Page 2". New York Times. Retrieved October 9, 2013. ^ "Errol Louis". If.isebox.net. Archived from the original on July 3, 2015. Retrieved October 25, 2013. ^ "Circulation Aide Named by Times". New York Times. April 30, 1981. ^ Dennis McLellan (May 24, 2011). "Obituary: Bruce Ricker dies at 68; jazz and blues documentarian". Los Angeles Times. Retrieved October 25, 2013. ^ "Geraldo Rivera | Biography". Fox News. January 13, 2011. Retrieved October 9, 2013. ^ Marc Eliot (2010). Paul Simon: A Life. John Wiley & Sons. ISBN 9780470900871. Retrieved October 9, 2013. ^ . brooklaw.edu http://www.brooklaw.edu/strategicedge/intellectualproperty/yourfuture.aspx |url= missing title (help). Retrieved October 25, 2013. ^ Douglas Martin (July 3, 2007). "Hy Zaret, 99, Tin Pan Alley Lyricist, Is Dead". The New York Times. Retrieved October 16, 2013. ^ "Frank Aquila Honored as Brooklyn Law School Alumnus of the Year | Sullivan & Cromwell LLP". Sullcrom.com. November 4, 2011. Archived from the original on October 23, 2013. Retrieved October 9, 2013. ^ "Mark M Baker | New York City New York". Mmbcriminalappeals.com. Retrieved October 25, 2013. ^ "Dennis J. Block - Professionals - Greenberg Traurig LLP". www.gtlaw.com. Retrieved March 9, 2018. ^ "Culter & Parlatore, PLLC". martindale.com. August 10, 2010. Retrieved October 9, 2013. ^ Stephen J. Dannhauser. "Stephen Dannhauser: Executive Profile & Biography". Business Week. Retrieved October 25, 2013. ^ "Herbert Dicker: Executive Profile & Biography". Business Week. Retrieved October 25, 2013. ^ "Ronald M. Green – New York, NY Labor and Employment Lawyer – Trial Attorney: Epstein Becker & Green, P.C". Ebglaw.com. July 28, 2011. Retrieved October 25, 2013. ^ Fredric Dannen (2011). Hit Men: Power Brokers and Fast Money Inside the Music Business. ISBN 9780307802088. Retrieved October 25, 2013. ^ "Leonard Grunstein Lawyer Profile". Martindale.com. August 10, 2010. Retrieved October 9, 2013. ^ "Robert M Kaufman | Professionals". Proskauer. September 18, 2000. Retrieved October 9, 2013. ^ Lydia E. Kess. "Lydia Kess: Executive Profile & Biography". Business Week. Retrieved October 25, 2013. ^ "Commissioner Directory". Nysegov.com. December 31, 2008. Retrieved October 25, 2013. ^ "Musical Chairs: Holland & Knight Picks Up Richard Raysman". Above the Law. Retrieved August 28, 2015. ^ Lattman, Peter (June 9, 2013). "Criminal Defense Lawyer Closes Office to Join a Big Firm". The New York Times. ^ "Nikki Dryden Bio". Sports-reference.com. April 5, 1975. Retrieved October 25, 2013. ^ "Jeff Gewirtz Bio | The Official Site of the Brooklyn Nets". Nba.com. Retrieved October 25, 2013. ^ "Tim Kelly – Brown". Brownbears.com. Archived from the original on October 23, 2013. Retrieved October 25, 2013. ^ "Chris Massey Named MLL Offensive Player of the Week". Antonnews.com. July 1, 2005. Archived from the original on October 23, 2013. Retrieved October 25, 2013. ^ "Spanakos Twins: Boxing Hall of Famers". April 27, 2014. Retrieved March 9, 2018. ^ John Munson (July 13, 2008). "At Yankees' new park, he touches all the bases". The Star-Ledger. Retrieved October 25, 2013. ^ "Randall J. Amster". Explore.georgetown.edu. Retrieved October 25, 2013. ^ Waggoner, Walter H. (June 12, 1981). "Harry Halpern, 82, Jewish Leader, dies". New York Times. Retrieved October 9, 2013. ^ Naylor, Natalie A. "Rosalie Jones (1883–1978) – Radical Suffragist" (PDF). Town of Huntington, Long Island, New York. Archived from the original (PDF) on October 23, 2013. Retrieved October 9, 2013. ^ "The founder: Alexander Lowen". Bioenergetic-therapy.com. Archived from the original on October 23, 2013. Retrieved October 25, 2013. ^ "Colonel David Marcus Playground Highlights: NYC Parks". Nycgovparks.org. Retrieved October 9, 2013. ^ "National Women's History Project". Nwhp.org. Retrieved October 9, 2013. ^ a b c "Your Financial Aid". ^ "A Bold Bid to Combat a Crisis in Legal Education".